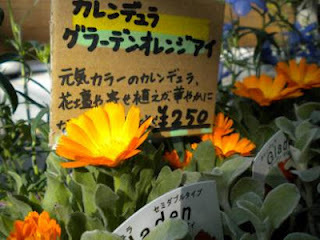 Word from Martin Frid, my friend and fellow blogger over at Kurashi, is that Nippori is home to a swell little market. Vendors come from Aizu Wakamatsu in Fukushima Prefecture (all products tested before selling - don't be afraid to ask!) and the Tokyo-area to offer delectable herbs, vegetables, fruits, and other wonderful delights. Martin also mentioned that folks can bring produce or even soil they wish to have tested for cesium in a machine specifically for this purpose. I'm quite excited to add this one to the monthly calendar of farmer's markets, and plan to be there this weekend to check it out for myself. There's even a taiko performance, to boot! Map - No map yet, but coming soon! Directions: East exit of the Nippori station and look for happy people selling vegetables! Photo Note: These bright lovelies can be found at Koganeya, n little antenna shop just out the south exit of Musashi Koganei station, that features local fruits, vegetables, baked goods, meats, and more. Not a farmer's market, but just about as good!